Your January Cookie Playbook is here! 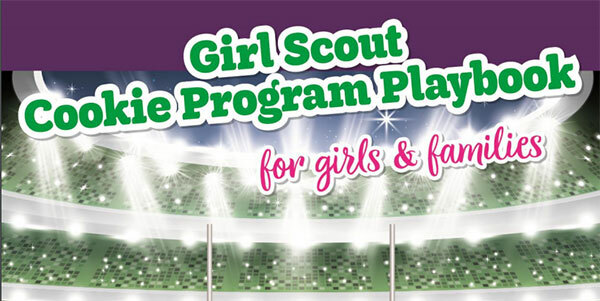 Check out the January Cookie Playbook for Girls and Families for key dates and ways to market and promote your cookie business. This playbook will help you reach your personal and troop cookie goals. As cookies bosses, Girl Scouts develop into confident leaders and contribute to their communities in impactful ways. From goal-setting, decision-making, money management, business ethics, and people skills, girls who participate in the Cookie Program learn essential skills that set them up for a lifetime of success! Are you new to the cookie program? No problem, check out our Cookie Rookie video for helpful tips to starting your first cookie program.